It has been rumored for a long time now, and we have been left wanting year after year when Apple did not announce it. When we were about ready to give up, Apple shocked us when they finally announced the Apple Watch – the company’s first entry into a slowly growing category of mobile devices. Smartwatches are devices that worn on the wrist and emulates the feeling of a watch while also providing capabilities close to that of the smartphone. Most smartwatches were designed to be companion products to smartphones. 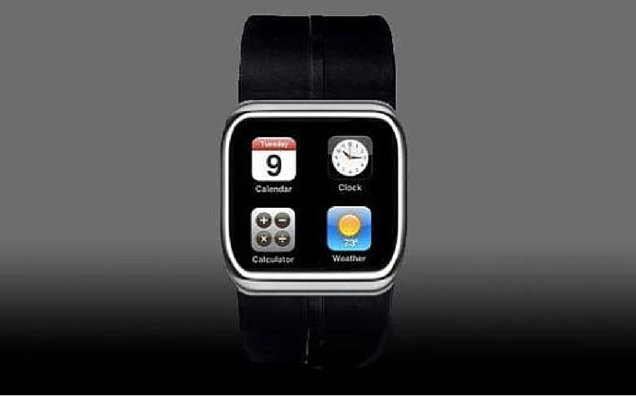 In the same manner, the Apple Watch was designed to complement the iPhone’s capabilities. The premise is simple: your phone is the source of data, and the Apple Watch becomes your easy-to-access interface. It allows you to use certain mobile features without having to actually take out your mobile. While this made very little sense in the days of the easily accessible 3.5 inch and 4 inch iPhone, the timing of the Apple Watch is perfect now that Apple has finally reached “phablet” category with 5.5 inches of screen real estate. The Apple Watch is definitely the perfect big phone companion. With your massive phone more likely to sit in a bag or in a very tight, hard-to-pull-from pocket, you will most likely be looking for a way to easily access certain features without having to take your phone out. Simple things like checking notifications, alarms, and notes become easier with a device mounted to your wrist. You can easily filter out notifications that would need immediate intervention by taking out your phone from the notifications that you can dismiss immediately. Convenience at a glance. One of the key features of the Apple Watch is the compatibility with health related apps, specifically the Apple Heatlth Kit. The Apple Watch boats features like activity and inactivity notifications, a quick glance of your fitness and workout results, as well as a heartbeat monitor. Being able to link it to third party workout apps allows it much more flexibility and function, making it a handy replacement to existing health watches being sold everywhere. Nobody can tell for sure if the Apple Watch will be a success. Many have already tried before Apple, and they failed to make a case that would entice a less geeky market. Proving the purpose and indispensability of the smartwatch will take a lot of marketing strength—something that Apple excels in. Still, the Apple Watch showcased during the keynote still reeks of being a beta – a test product. Pretty much like the Samsung Gear, this product will likely undergo a lot of transformations in a short amount of time to refine the technology and most importantly – the interface.